Our big 4th of July sale at AirAgeStore.com kicks off tonight at 11:59pm ET and runs until July 7, so you’ve got the full holiday weekend to get your savings on! We’re not just talking 10, 15, or 20% off–how does 50% off sound? 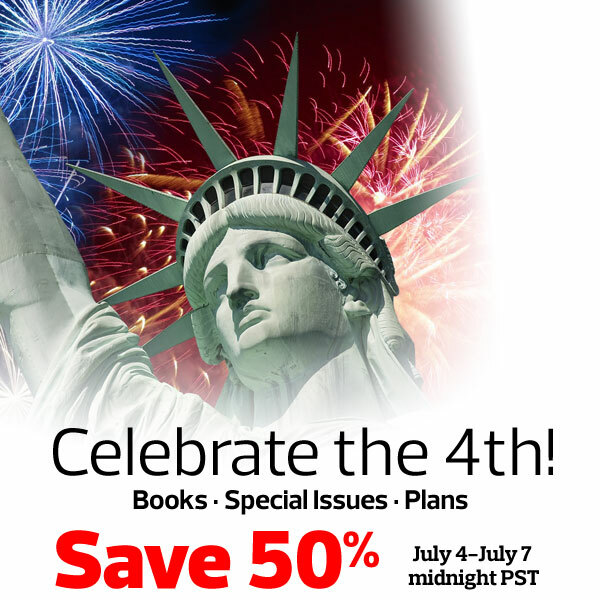 Yep, half price for books, special issues, and plans. Over 30 incredible customs ripped from the pages of RC Car Action. 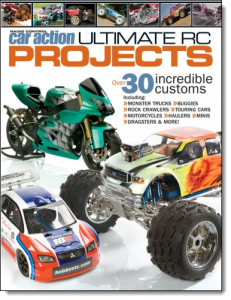 It includes more than 140 color pages of custom monster trucks, buggies, rock crawlers, touring cars, minis, motorcycles, semis, dragsters, and much more. Over 145-color pages. Click the pic to see it in the store. This new book covers everything about the hottest segment in RC today. 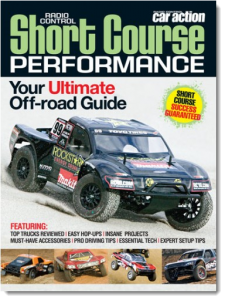 Short Course Performance features killer photography and the most authoritative information covering the latest trucks, essential performance tips, hot hop-ups, the wildest project trucks, pro driving tips, and much more! Plus the latest full-scale racing mayhem from the Traxxas TORC and Lucas Oil Off Road Racing series. For those interested in short course action, this is the ultimate source! Click the pic to see it in the store. 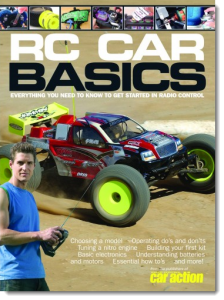 Get started right with RC Car Basics, RC Car Action‘s new full-color getting-started guide just for first-time drivers. From the basics of RC tech and terminology to race-winning tips and secrets, RC Car Basics has all the info you need to pick your first car, tune it for maximum performance, and keep it running its best. Over 120 color pages! Click the pic to see it in the store. Lots more at AirAgeStore.com, click below to go there now!